On a recent Called to Coach: Australia Edition, we spoke with Nicki Luther, HR Business Partner at Stryker Australia. Since the 1980s, Stryker has worked with Gallup to improve its employee engagement and develop a strengths-based culture. As host Anne Lingafelter explained, "Stryker is Gallup royalty and has won the Gallup Great Workplace Award seven times." The company’s dedication to its employees’ engagement and strengths has helped it become one of the most respected companies in Australia. Nicki loves working for Stryker, where she has been for over three years. She said, "Sometimes I pinch myself because Stryker is one of the best places to work in Australia." Nicki explained that strengths are completely embedded in Stryker's culture -- they are a part of the daily language in the Australia office and form the basis of every employee's career. For example, new employees must complete the Clifton StrengthsFinder assessment during their first or second week on the job. Then Nicki or one of her HR colleagues debriefs them on the meaning of their strengths and how they can use them to propel their career. Moving forward, strengths become a touchpoint for all employees’ development plans. Nicki also warned that strengths should not be used as a selection tool. Rather, strengths are a development tool that engages, strengthens and drives employees after they are hired. Nicki also dispelled myths about "Stryker strengths." She stated that some talent themes -- like Achiever, Competition and Activator -- are common at Stryker and some employees believe those themes are essential to being hired or succeeding at the company. However, Nicki adamantly stated that no themes are prerequisites to being hired or doing well at Stryker. For instance, Nicki's top theme is Empathy. While Empathy is uncommon at Stryker, it has not impeded Nicki's progress. In fact, it has allowed her to draw colleagues close together when tackling team goals. To hear more about Nicki's strengths journey, including how to infuse strengths into an organization's culture, please watch or listen to the webcast above. 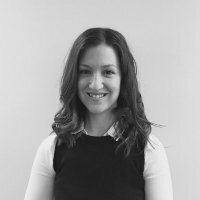 Nicki manages a diverse range of HR responsibilities including employee development through strengths coaching, succession planning, job design, performance management and employee relations. Nicki operates as a strategic business partner by working with my leadership teams to analyze, prioritize and respond proactively to organizational needs. Nicki's top five strengths are: Empathy, Individualization, Achiever, Maximizer, and Developer.